How rapidly you respond to a fire crisis makes all the difference during an emergency. Strategic Fire Solutions enables you to respond efficiently to fire emergencies by equipping you with safety practices and emergency training. We are a licensed fire emergency procedures solution provider in Brisbane compliant with the regulations of Queensland Building and Construction Commission. An emergency management system is essential for businesses to comply with Building Fire Safety Regulation 2008 and AS 3745-2010. A well-planned emergency system is necessary under Qld Fire Regulations and Act and Workplace Health and Safety Laws. Our fire emergency procedures service in Brisbane can enable your business to comply with all the above laws accurately. 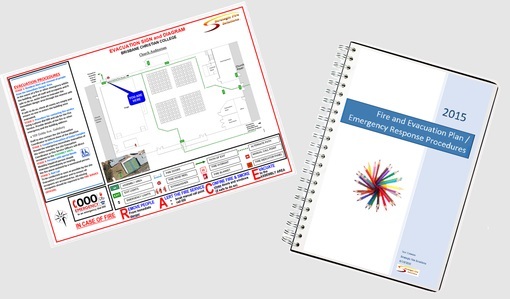 Our emergency fire procedures professionals will develop a site-specific plan that explains how to be prepared for a workplace emergency, and details responsive measures. The emergency plan, once developed and implemented, can be self-maintained by your business. Evacuation Signs and Diagrams – The Building Fire Safety Regulation 2008 requires a workplace to have these elements. We provide signs and diagrams in an A3 laminated colour format, carrying your business logo. These elements, once installed, would require an annual inspection to verify compliance with existing building norms. They also need to be updated in case of any alteration to the building or equipment therein. Fire Safety Training and Emergency Evacuation Response Training – We provide fire safety training covering first response procedures, general evacuation procedures, evacuation assistance, and training in warden and chief warden tasks. All our procedures comply with Building Fire Safety Regulation Act 2008 and AS 3745-2010. Fire Safety Advisor – We can provide a representative to handle your Fire Safety Advisor tasks. In case you need assistance during audits by Queensland Fire and Rescue Service audits, we can visit your site during the process. Give your employees highest standards of fire safety training Brisbane wide! Call us today at 0411 387 514 or 0423 292 779 for more information about our fire protection services.